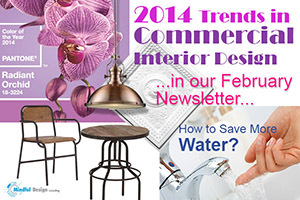 Welcome to our Commercial Interior Design February 2014 newsletter! Today I will share a few latest trends in commercial interior design of 2014. You can find this and other interesting design ideas on our Blog. In our Green News corner, we would like to talk about saving water and saving money on water if you are living in a drought area. 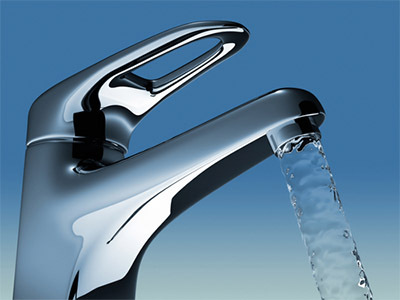 Please let us know what you think about this product if you happen to own it already - WaterQuickPro. In this issue I would like to share 6 of my favorite most exciting emerging trends in commercial interior design this year. If you missed it, read our December newsletter showcasing some Before and After images of selected projects from last year 2013. You may see your store here if you are our client! 1. Radiant Orchid Pantone Color of The Year 2014 is Hot! Radiant Orchid Color of the year 2014 is hot! “PANTONE 17-5641 Emerald, served as a symbol of growth, renewal and prosperity, Radiant Orchid reaches across the color wheel to intrigue the eye and spark the imagination,” said Leatrice Eiseman, executive director of the Pantone Color Institute®. “An invitation to innovation, Radiant Orchid encourages expanded creativity and originality, which is increasingly valued in today’s society.” See more design ideas for 2014 interior design HERE. The easiest way to bring a new color into a space is by using new wallpaper. 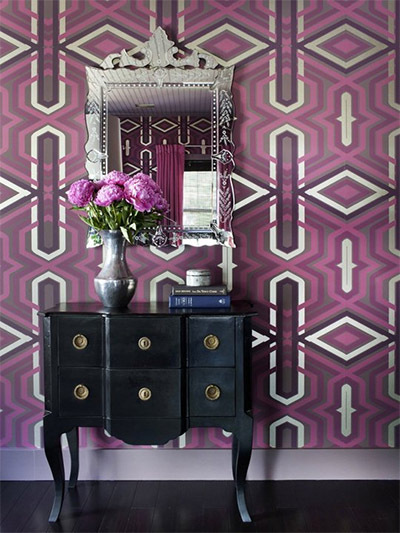 Geometric patterns looks great with any style! Note the color of the floor base on this photo. It doesn't have to match your flooring to look good. 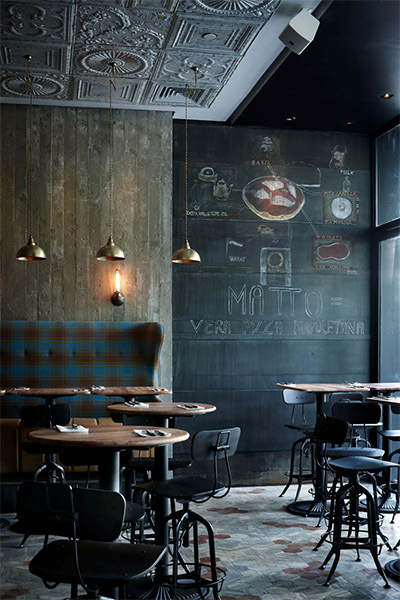 Brass light fixtures, concrete walls with chalkboard paint and traditional plaster looking ceiling tiles create a great backdrop for serving a traditional Italian pizza at this charming restaurant in Shanghai. See more images of this inspiring place HERE. 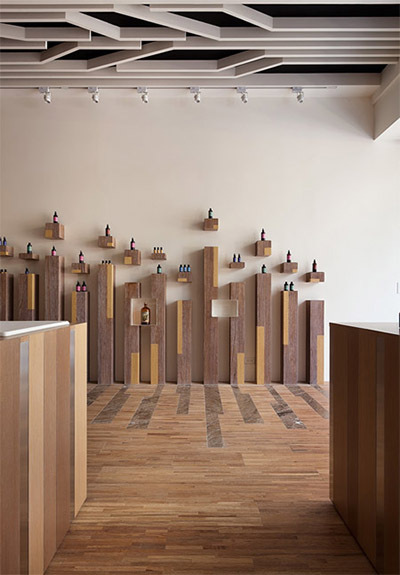 This Essential Oils Store Design is all about geometry and contrast. Geometry of product wall display followed by geometry of floor finish. Geometry of the ceiling ties the overall nature theme together. See more images of this beautiful geometrical interior store design and brand HERE. 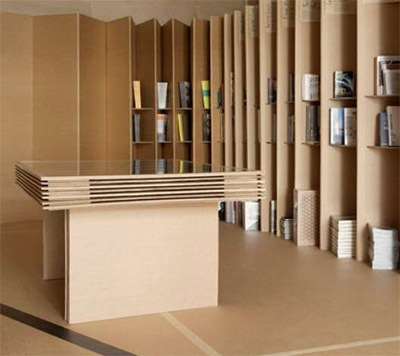 The book store features accordion-style, cardboard walls with built-in shelves to accommodate many books on architecture. The Foldaway Bookshop is an Eco-Friendly concept that inspires business owners who are searching for an environmentally friendly alternative to building dozens of displays in their store. The cardboard can be easily recycled at the end of its usefulness. See more images of this unique book store HERE. The key to effective store branding is maintaining simplicity while still creating a memorable visual impact that gets the message across to customers. This often requires a delicate balance involving imagery, text, colors, and overall design. 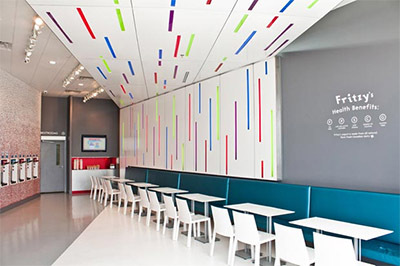 See more images of this clean candy store interior design HERE. People don't want to just see things any more. 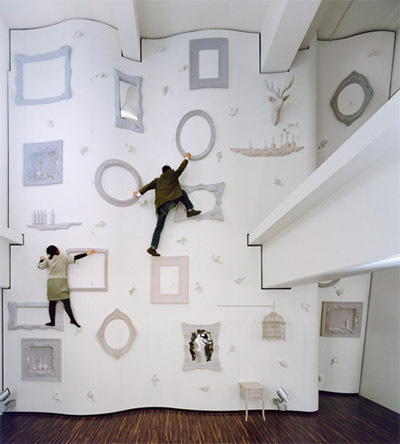 They want to walk on ceilings and climb walls, they want to experience space while interacting with it. Following are a couple of great examples of such spaces. If you’re an interior designer or a shopaholic, your mind will be blown by this unconventional upside down store design in Milan! The interior design of this store brand in Milan features parquet floors (on the ceiling), upside down columns and more. Clearly, this defies logic but is quite amazing to experience as you enter the store! See more images HERE. The ultimate unisex climbing wall has just been unveiled in Japan. While wall climbing has long been an acceptable opportunity for rigorous exercise in the Far East, designers in Japan have finally taken heed of the demand by women to design a climbing wall that incorporates features that members of both genders can enjoy. Copyright © 2014 Mindful Design Consulting. All rights reserved.